The ninth of these popular weekend walks, open to everyone and in particular mountainviews.ie members and friends. 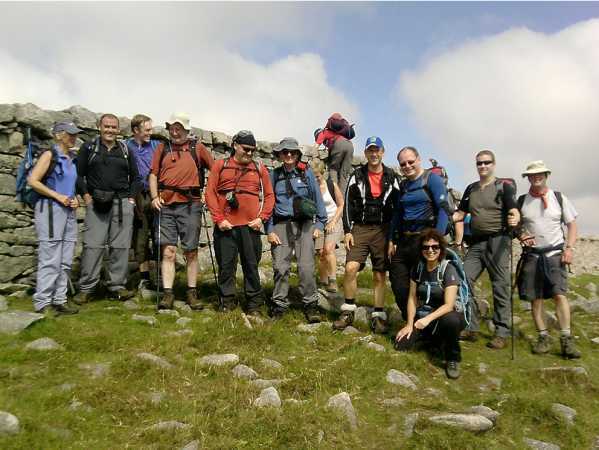 Based in Newcastle Co Down, we meet on the Saturday morning for a day’s hike in the beautiful Mourne Mountains including at least 1 of the highest tops in the North of Ireland. This is a 6 to 7 hour trek - and requires a reasonable level of fitness. Afterwards, we meet for an informal meal at a friendly Newcastle hostelry and thereafter enjoy craic agus ceol in a local pub. The walk and day are organised independently by members of mountainviews.ie and there is no charge for the walk. You arrange your own accommodation in Newcastle and any matters of insurance etc. This is a great opportunity to experience the magic of the Mourne Mountains and the cameraderie of “The Scavvy”. We have participants come from as far afield as Derry and Cork, Dublin and Armagh, Tipp and Cavan. Please print this out now (eg copy text and paste) as will be easier to hold a copy than access it again on the website.